Buying a commercial vehicle? Speed Credit can help you finance your commercial vehicles at a very competitive rate. Our commercial vehicle loan was perfectly designed for small to large businesses in Singapore. With our extensive range of loan services, we have weaved together a perfectly suited commercial vehicle loan package that can help you enjoy better terms and lower interest rates. Through our quick and simple commercial vehicle loan process, approval is much easier and faster. 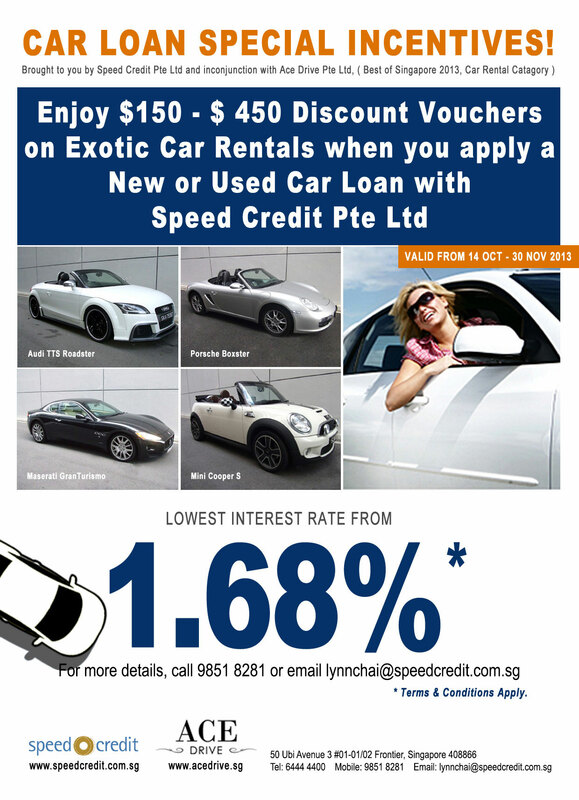 Call us at +65 6444 4400 to speak to our car finance representative. Wait for our car finance specialists’ reply or instructions. We will notify you within 1 working day regarding the status of your Commercial Vehicle Loan Application. Once your Commercial Vehicle Loan Application is approved, our car finance specialist will contact you for further instructions. Loan is applicable only to registered businesses in Singapore. Maximum loan amount is 80%. Minimum profit should be at least S$30,000 p.a. or 4x higher than the monthly loan installment. Click here to view our commercial vehicle loan interest rates. For more information about our Commercial Vehicle Loan Service, you can contact our friendly car finance specialist, Lynn Chai at +65 9851 8281.